In 1975 a young man started work as an apprentice sheet metal worker with Rolls Royce in Hucknall and whilst this is not the story of Bill Gates and Microsoft it is how HEC Showman’s journey started out over forty years ago. Now, as a Rolls Royce time served sheet metal engineer this young man worked with Rolls Royce as a sheet metal worker for a several more years. During that time, he manufactured sheet metal components and assemblies for the large fan RB211 jet engine and other gas turbine engines manufactured by Rolls Royce. These were both at the Hucknall site and the Derby engine division in general. In the mid-1980s Rolls Royce were experiencing a slowdown. Voluntary redundancy was offered to their staff which he decided to take and seek employment else ware. A job offer at a company producing gas detection equipment for the mining sector saw him manufacturing enclosures for gas detection equipment for the next four years. This was a far cry from the manufacture of sheet metal parts for jet engines but was further experience within the sheet metal fabrication industry and would stand him in good stead for the future. He started manufacturing work for himself from his garage at home, small items, gates, fire surrounds and the like. This he started when at Rolls Royce and continued while he worked at the gas detection company. The outside work grew to such an extent that he decided to rent an industrial unit of his own as he had outgrown his garage. The work required 4 am starts for him to produce his own sheet metal work orders, then going to his day job at 8am and working for them until five. He would then go home to start again with his own work usually until late in the evening. The company he worked for became aware of this “additional work” which was “not appreciated” by them and they decided to sack him on the spot (different times!). Although a shock, it was, with hindsight an opportunity. If he had not been sacked (asked to resign as he likes to say), he may never have had the impetus to push on with his own sheet metal business. The new sheet metal fabrication business he started continued to thrive and the industrial unit he rented initially soon became too small. 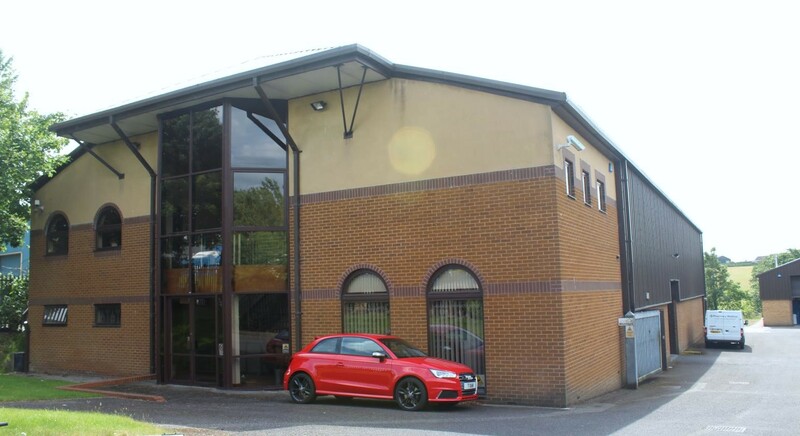 A new industrial unit was sought, skilled staff recruited and the business moved into new larger premises two years later. The business continued to grow, now employing eleven staff and after five more years, the sheet metal and fabrication produced by the company had again outgrown the building. This time instead of renting a unit, it was decided to buy a factory to continue the sheet metal work production processes and a suitable factory was found and purchased. The business and the now nineteen members of staff then moved into these new premises. During the end of the 1980s work in this sheet metal fabrication business continued to thrive, reaching new markets, specifically the manufacture of bespoke retail metal work. In the pre-online shopping days’ shops were frequently changing their displays and quality bespoke shop fitting metalwork was a booming market for a business that knew what it was doing, and this one certainly did. China had not at that time started making inroads into our marketplace and the only real overseas competition in the volume market was Spain and Italy. Advertising for new clients was not necessary as word of mouth and repeat orders helped fill the order books. It was at this point that following an approach from an interested party he sold the business to them as a going concern. Unfortunately, the party purchasing the business from him did not make the success of it that he had done and it folded two years after him leaving it. 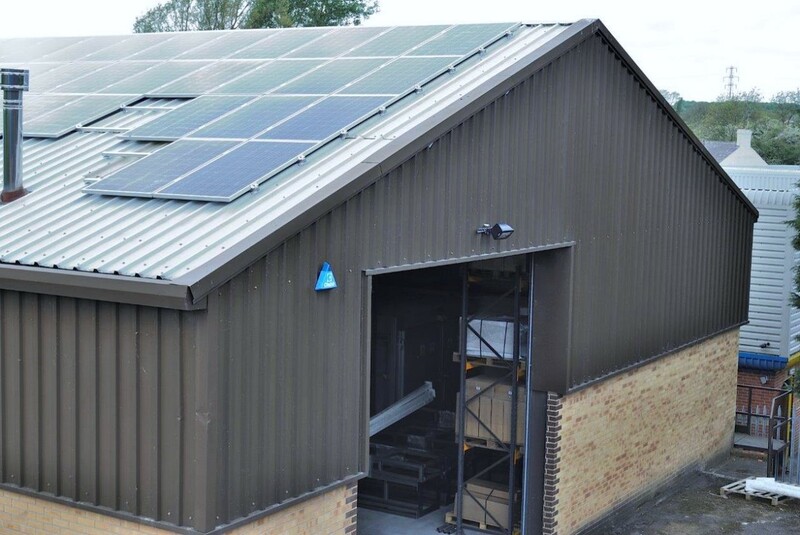 By this time though, he had started his new business with the proceeds of the sale of the first business and purchased three industrial units again manufacturing sheet metal work and fabrication components together with bespoke retail metalwork. Quality Sheet metal work was still in demand throughout the boom and bust times of the late 1980s and early 90s however, the closure of the coal mines in Nottinghamshire during this time saw many companies fall by the wayside. Indeed, this new company had a bitter blow early on in its life when a large shop fitting company folded with unpaid invoices of £ 69k. Insolvencies were abound in the early 1990s but the low overheads it had saw the company continue to grow and soon a larger factory as required. A piece of building land was available just a short distance from their existing factory, it was purchased and an architect employed to design the building. Planning permission was given and a new purpose build sheet metal and fabrication factory was constructed for the company. The construction work was carried out by North Midland construction it took six months and the business transferred into the completed new factory in December 1996. With the larger factory, more work was needed and, when new work was sourced then it usually took the form of a half page advert in a trade magazine (no Google then!). It was this form of advertising that attracted some of the company’s best and most loyal customers and which to this day those company are still trading with them some twenty plus years later. One such company they have supplied for many years is “Replan”, a company who fit out shops for sports direct. The company has produced shop fitting equipment for Replan for over twenty-five years and although Replan now import much of their retail metalwork from China they still purchase bespoke retail metal work from them. Many other of the company’s customers valued the quality shop fitting metal work and value for money prices with work done for Lloyds bank, Primark stores and many other well-known names. Powder coating of the sheet metal and fabricated products was, by this time a large subcontract cost for the company and due to the long distances the products had to be taken to be powder coated costs, were high and risk of damage to product great. Something needed to be done to reduce transport cost and damage to product. 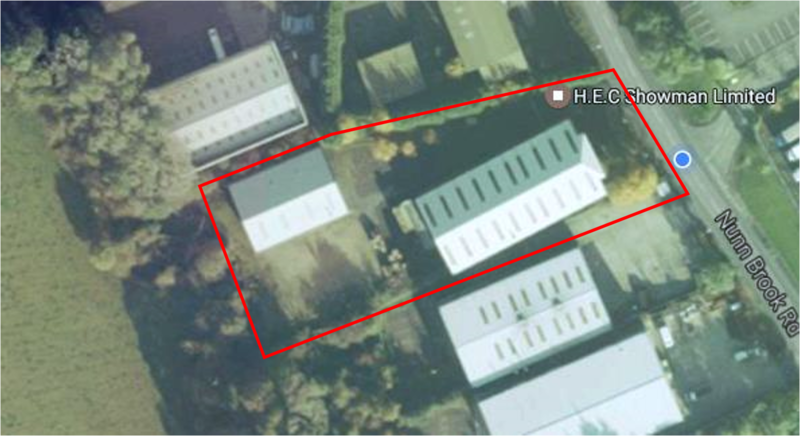 It was decided to build a new purpose built powder coating factory on surplus land the company owned at the rear of the main sheet metal fabrication shop. This building work was started and when the factory completed, the new powder coating equipment was installed. This powder coating plant soon became invaluable to the business considerably reducing its costs and transport times. Transportation of the sheet metal components alone had gone from a few hours and many miles on the road to 100m and a couple of minutes by forklift truck. During the 2000s the advent of the internet and with it online shopping brought a reduction in conventional shopping which in turn reduced shop fitting companies. With a reduction in shop fitting companies there was less of a requirement for bespoke retail metalwork and so the company looked else ware for business. For over twenty years the company had successfully produced shotgun cabinets, retailing them directly through its own website. Due to the success of this business model, the company sought to expand its range of products it could manufacture and sell itself directly to the end user. A chance meeting instigated the design and manufacture of cabinets in which to store controlled drugs and medicines. These products were sold through their newly promoted “Pharmacy Medical” brand and the development and manufacture of many other allied products followed soon after. 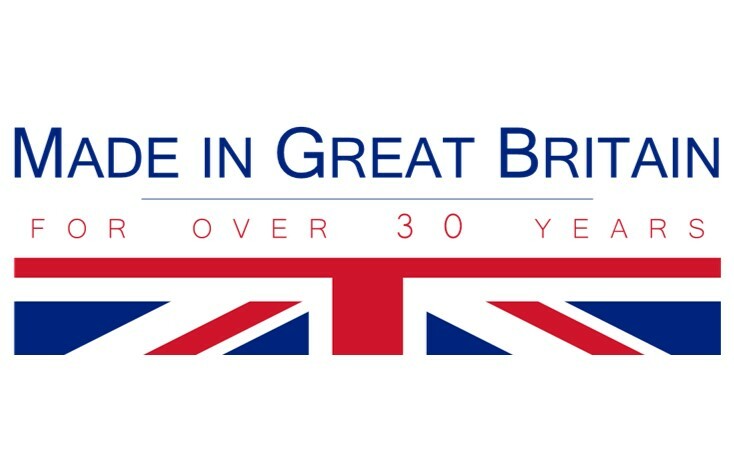 This was seen by the company as the way forward and additional products followed so that the company now produce and retail Medical products, Saddle safes, shotgun cabinets, CoSHH cabinets and are currently developing a range of van storage equipment. The era of the internet has changed the way business is done over the past 10 years and things have changed a lot from when the young man started working in his garage. However, this change has been embraced and the business has changed with it. The business is still strong, still well respected and in a good position to continue going forward.